Bryan McDuffie, a top transportation executive at Tyson Foods, has been named vice president of transportation at George’s Inc., one of the nation’s largest privately owned poultry processing firms and a key supplier to Kentucky Fried Chicken restaurants. Both companies are based in Springdale, Ark. 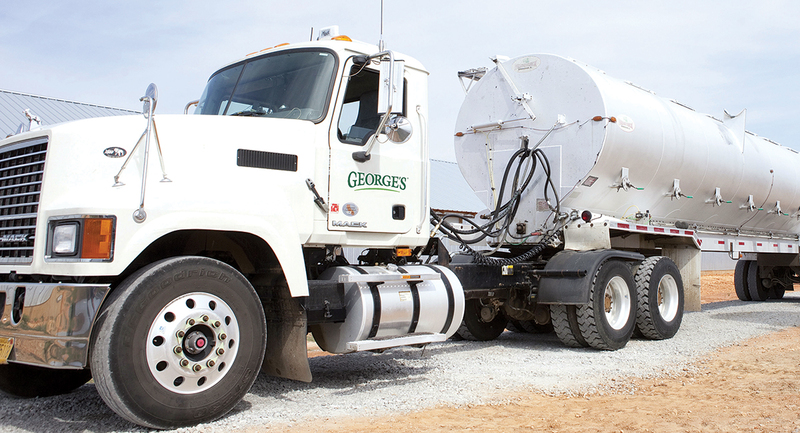 At George’s, McDuffie will be responsible for all transportation and warehousing activities. The company, which started out hauling live poultry to customers in Kansas City, Mo., St. Louis and Chicago in the 1920s, now processes 5 million chickens a week at plants in Arkansas, Missouri and Virginia. In addition, George’s Gas Co. distributes propane to farms and business and residential customers in Arkansas. A native of Duluth, Minn., McDuffie attended the University of Minnesota and started his career in food transportation in the late 1970s. He worked at Jeno’s Pizza and Oscar Mayer/Kraft before joining Tyson Foods in 1993. McDuffie served as vice president of transportation at Tyson Foods and was responsible for the company’s poultry and prepared and fresh meat divisions. Tyson Foods ranks No. 13 on the Transport Topics Top 100 list of the largest private carriers in North America with 2,380 tractors, 56 straight trucks and 6,499 trailers. George’s Farms, based in Springdale, Ark., operates a fleet of 60 tractors, 13 straight trucks and 119 trailers, and George’s Foods, based in Edinburg, Va., operates 97 tractors, nine straight trucks and 158 trailers. George’s Gas Co. has a single tractor, 10 tank trucks and two tank trailers, based on registration data on file with the U.S. Department of Transportation.